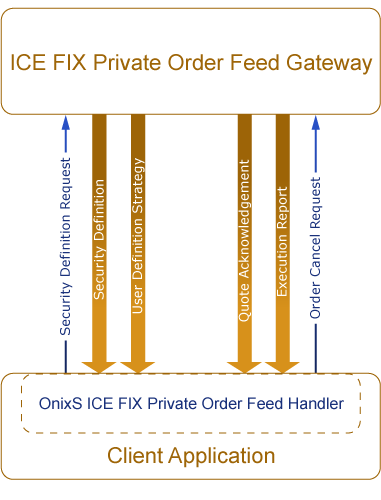 The OnixS directConnect: ICE FIX Private Order Feed handler provides easy and reliable access to ICE's FIX Protocol based ICE FIX Private Order Feed (POF) interface for real-time order and trade capture. The ICE FIX Private Order Feed (POF) allows trading participants to connect to the exchange and receive real-time and historical order and trade information including activity from WebICE and FIX Order Servers (FIX OS). The OnixS directConnect: ICE FIX Private Order Feed solutions are implemented on multiple platforms including C++ on Linux (RedHat, CentOS, Ubuntu, etc.) and Windows, Microsoft .NET Framework, and Java.